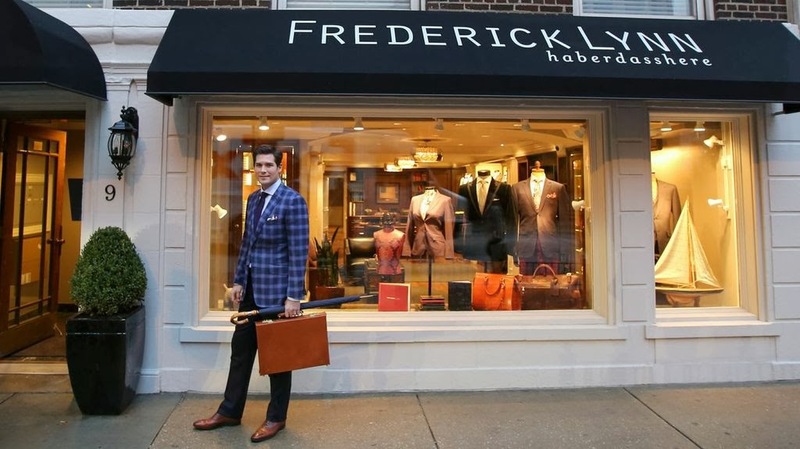 If you're into custom made clothes and accessories, Frederick Lynn Haberdasshere is just what you're looking for. 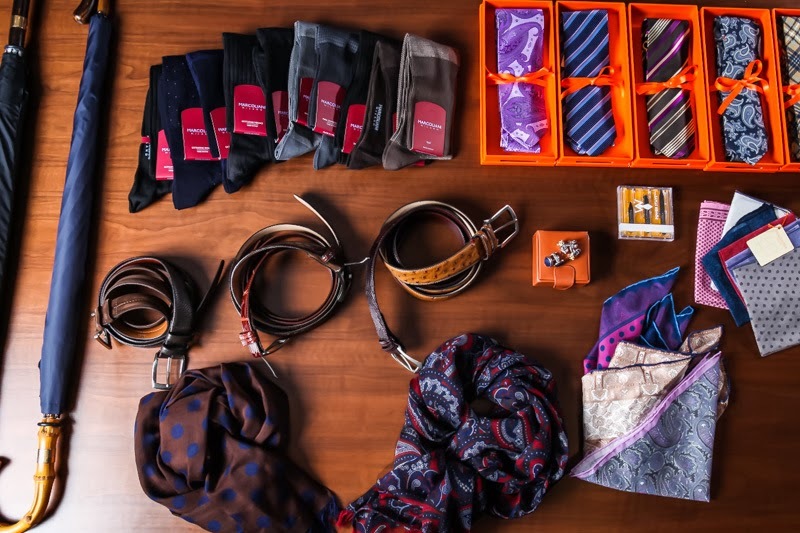 A couple of years ago, Aaron Comes founded Frederick Lynn (operating as a direct business) and last year they opened up a large showroom in Chicago, USA, to provide the complete custom experience to the discerning gentleman. Being located in Chicago that's where their main catchment area is, but if you can't visit their showroom or live outside Chicago, they will travel to you. How far they are wiling to travel to meet new customers, I'm not sure, but flexibility seems to be at the heart of the Frederick Lynn operations, so all you have to do is ask and I'm sure they will do their very best to accommodate your needs. Aaron Comes outside the Frederick Lynn showroom in Chicago. 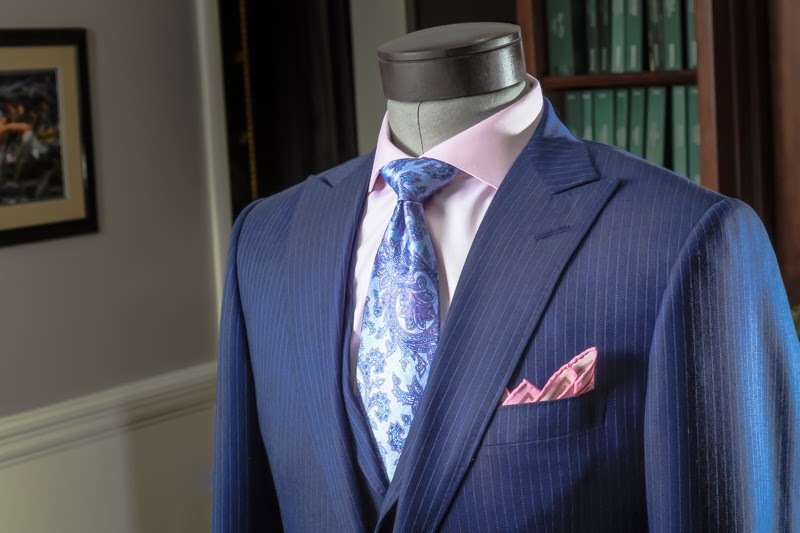 Frederick Lynn offer bespoke suits in three different qualities with regard to production: machine finished, hand finished, and a full handmade garments. 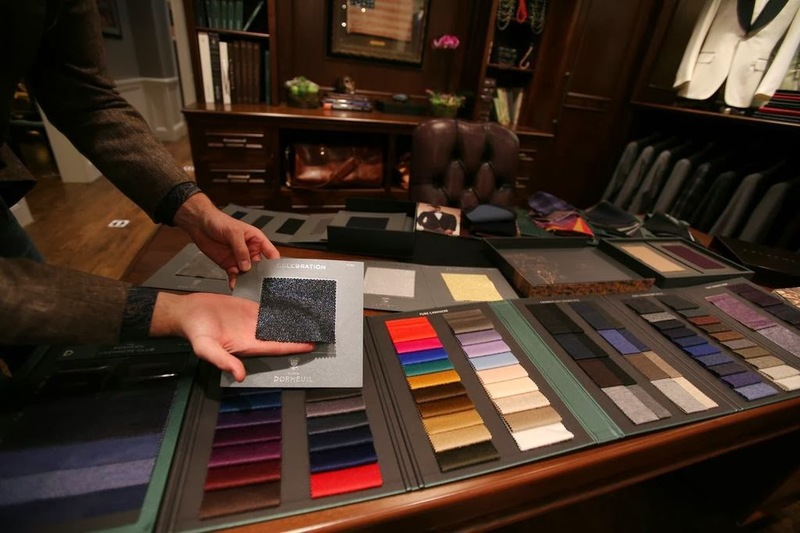 Fabricwise, you can choose between a large variety of makes and qualities but to mention a few, the carry Scabal, Dormeuil, Escorial, Ermenegildo Zegna, and if you have a particularly large amount money you want to get rid off you can opt for vicuña, the worlds most expansive fabric. Thus, Frederick Lynn can cater for most people's needs and wallets with suits starting at $1300, and a vicuña jacket costing around $25000. Fabrics are available in a large variety of makes and qualities. 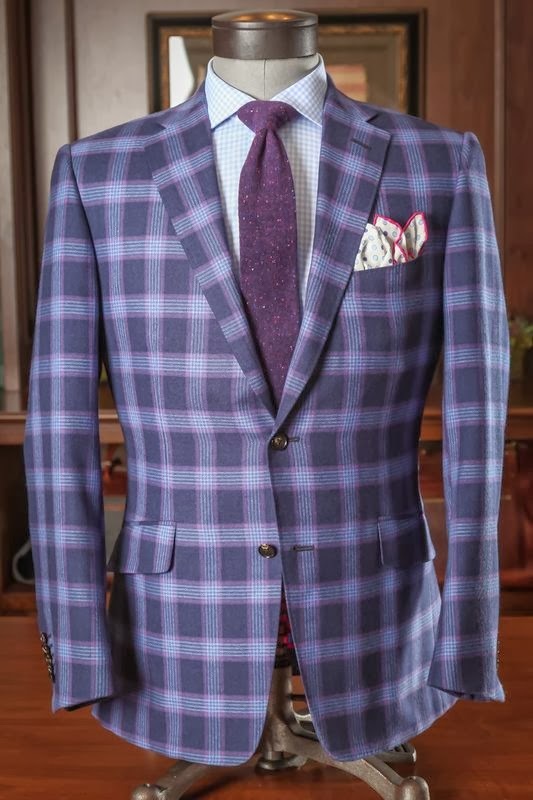 Marvellous glen plaid check jacket. Lovely single breasted three piece with peak lapels. 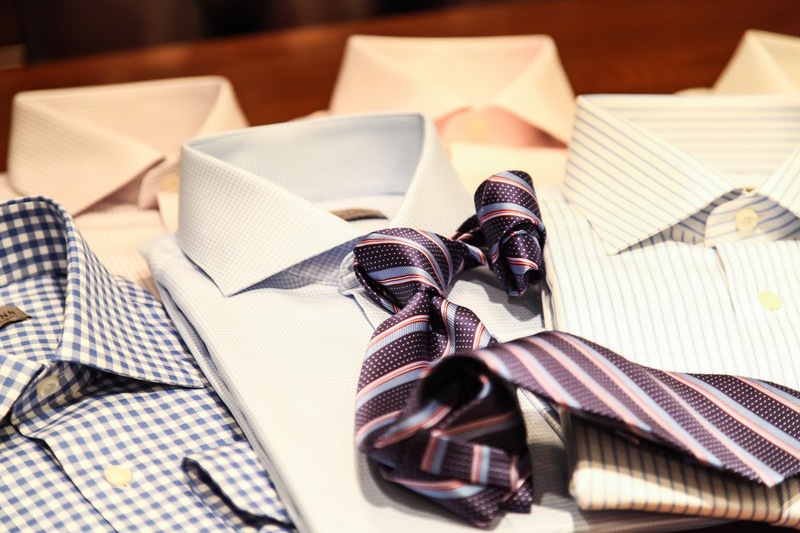 Bespoke shirts are available at Frederick Lynn. 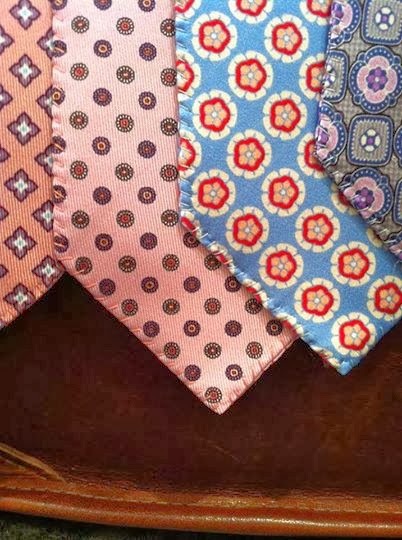 You can also get silk ties by Dolcepunta, handmade in Pescara, Italy. 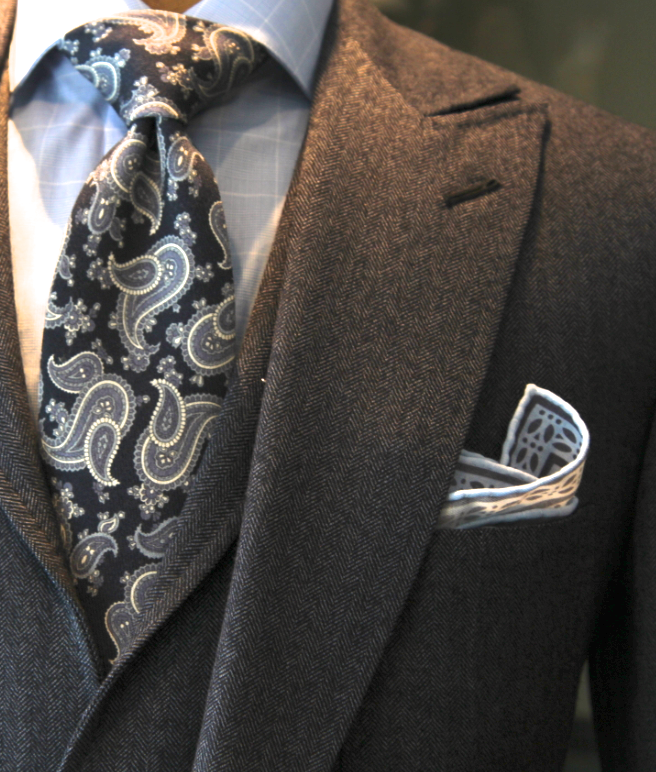 You can choose between the standard three fold tie, or the more exclusive seven or eleven fold ties. They also have a softpoint model, and the double face ties which I particularly like. blue with the flower pattern? 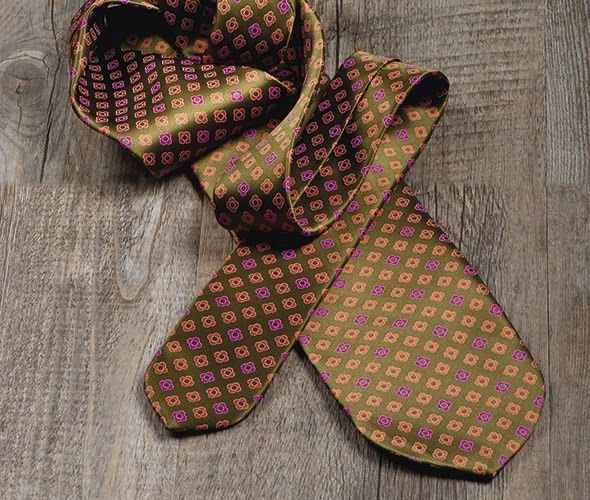 Soft point tie by Dolcepunta. All types of other accessories are also offered by Frederick Lynn and are generally customisable. 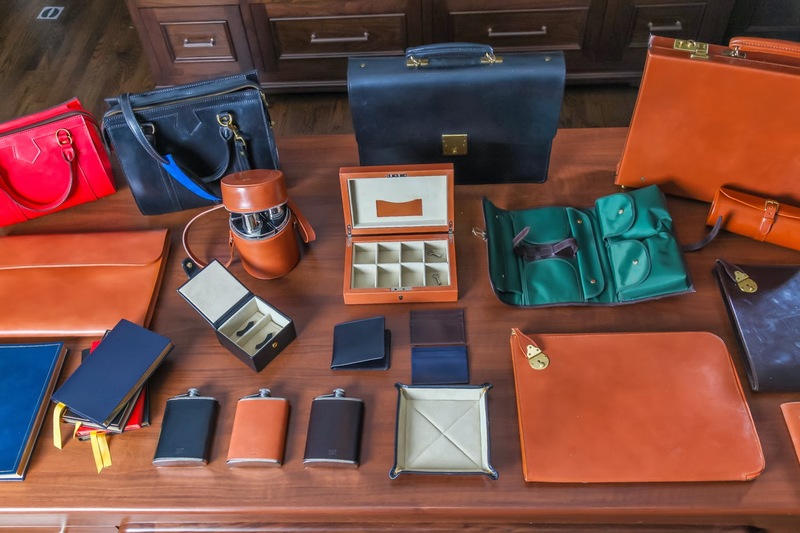 All leather accessories and goods are handmade in England by Sterling & Burke. Available are everything from suitcases and tote bags to wallets and tie cases. Handmade umbrellas can also be made to your specifications. Accessories to cater for all your needs. All diferent kinds of leather goods. Top quality unbrellas avilable for customisation. If I didn't have a reason to go to Chicago before, I think I've just found one. 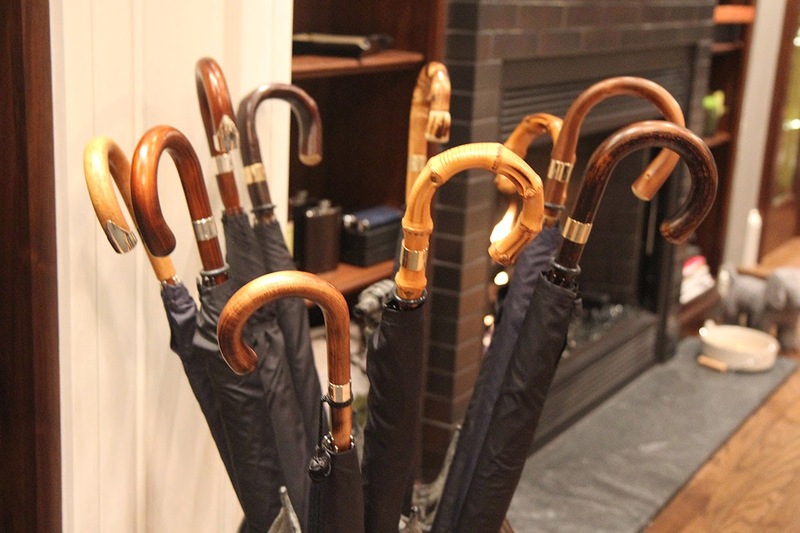 A visit to Frederick Lynn is promising to be a perfect gentleman's experience.